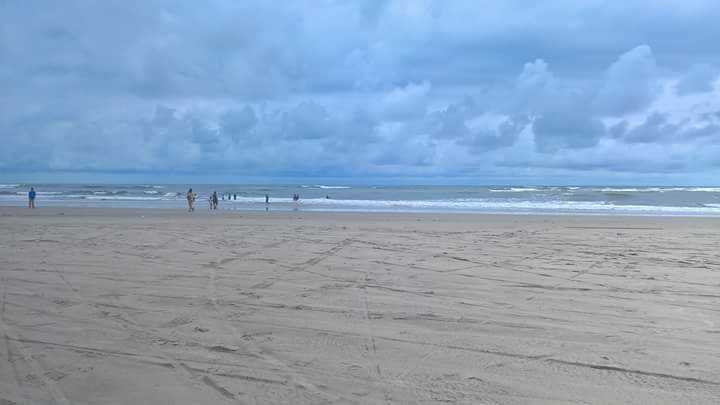 Ibeno beach is one of the beaches on the Atlantic Ocean, located in Eket, Akwa Ibom state, south south Nigeria is the most popular tourist destination in Akwa Ibom State and one of the most popular beach and tourist destination in Nigeria. Ibeno beach which is believed to be the longest beach in west Africa is about 45km, the beach stretches from Ibeno to James Town all in Akwa Ibom. Ibeno beach has become the most preferred tourist destination in Nigeria because of its serenity and peaceful nature. Ibeno beach pays host to tens and thousands of beach lovers every days who comes to the beach for one fun activity or the other. Tourists and visitors who comes to the beach on daily bases especially on weekends, public holidays, or during festive periods can engage them self in activities such as beach soccer, beach volleyball, boating, horse ridding, swimming, jogging or simply take a stroll along the beach or better still, enjoy a sound sleep at the beach. when next you seek for a place to hang out and have fun with friends, head down to Akwa Ibom state and enjoy the wonderful and beautiful sight of Ibeno beach with its cool breeze, Ibeno beach is an ideal place for fun. Wow!I want to visit this beach! I love the sounds of the waves, very relaxing! Many people do not know that Nigeria is one of good tourist attractions. Would love to visit Nigeria very soon. It is on my wishlist to visit in the year 2018. Thanks for the nice article. You are welcome anytime. there are lots of amazing places to visit. Wow! Nigeria looks like the most incredible place! You reeled me in at ‘sun beach and horse riding … erm and yes nap under the sun’ hahaha, Now i know about the longest beach stretch in Africa. Would definitely love to visit one day….. This is already in my bucket list when I get back to akwaibom! Nice description!